What is the key to being a successful English learner? Take a second and think. If you answered something like great vocabulary, excellent pronunciation, and/or exceptional listening comprehension, I would advise you to think again. While these are characteristics of a good English speaker, these are the RESULTS of a success, not the keys. The key to being a successful English learner is about YOU, your mind, and the way you look at the world. Know that no matter what you want to achieve in life, you have to work hard for it. There are no easy paths, no shortcuts, no magic pills. 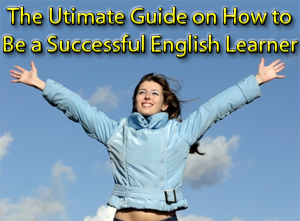 Understand that your attitude is the key to being a successful English learner. Unless you take responsibility for your own learning, how can you expect to be successful? If you are willing to accept the truth that how you see the world is the most important factor in determining your success, then keep reading. The goal of this page is to direct you to all of our articles that will help you improve your attitude. These articles go deep down, past the phrasal verbs and listening comprehension, down to the depths of your mind and heart. After reading these articles the way you think about English, and the way you think about life will be changed forever. Below are a collection of the articles from this site that focus on helping you overcome and transcend the deeper problems that are getting in the way of your English. You will see the title and link to the article followed by a short description. 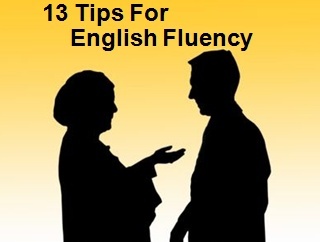 If you want to become a lifelong English learner, than click here. The main purpose of this article is one thing: to clarify why YOU want to learn English. Many people grow up with their parents, friends, their job, and society telling them what they should do and how they should think. When we think we want something because of what those around us have conditioned us to believe, we don’t really feel motivated to learn. By becoming clear with what YOU really want, you will feel naturally motivated to want to learn English and will stop having to force yourself to study. Click to see how lack of clarity is the #1 reason why you aren’t learning as much English as you want. Once you become clear with what you truly want, the next step is to take action. Discipline is all about the choice between doing what you want now and doing what you want most. This article is all about helping you develop the muscle to consistently chose to do what you want most. Instead of short-term gratification, this practice leads to long term happiness and satisfaction. The more you strengthen your discipline muscles, the easier and more rewarding your life will be. 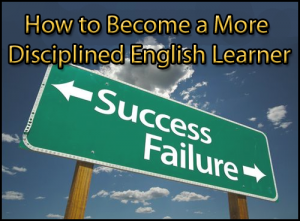 Click to see how to achieve your goals by becoming a more disciplined English learner. If you don’t know where you’re going, you’re probably not going to get there. If you want to become a better English speaker, you need goals. Goals are like a GPS to get to your destination. They’ll tell you exactly what steps you need to get to become what you want to become. The most successful people in the world all have goals. Shouldn’t you? Click here to learn why goals are so important and how to set goals that inspire you to take action. One of the best techniques for developing your discipline, as well as implanting new habits, is the 30 day trial. The 30 day trial is where you take one thing you would like to make into a habit and do it every day for 30 days. 30 days is about how long it takes to install a new habit in your brain. But after you reach 30 days, as long as it’s is not too extreme, the activity becomes a habit and you no longer need much discipline to do it. If you want to install a new habit, then check out the article about how to guarantee language learning success with a 30 day trial. Do you feel embarrassed when speaking English? If so, don’t worry you’re not alone. It’s quite common for non-natives (and sometimes even natives!) to be embarrassed about speaking in English. It’s a totally natural, but curable thing. As you know, if you’re not speaking English because you’re afraid, then you’re not going to be learning very fast. 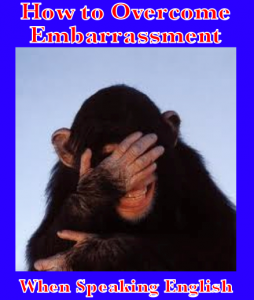 If you want to learn how to overcome your fear, then check out the article about how to overcome embarrassment when speaking English. The most valuable gift to yourself is taking responsibility for your learning. Understand that just because you have private English classes, doesn’t mean you should take a back seat and let the teacher do all the driving. Instead of being passive, learn to help direct class. Be engaged in what you are learning and give feedback to the teacher about class. Encourage the teacher to teach you about stuff you’re interested in and want to learn about. I guarantee you’ll both have a much more enjoyable, rewarding time. To learn how to improve your private English classes, click here. Nothing is more powerful in helping you become successful than meditation. Meditation has been proven again and again to not only make you calmer, more relaxed, and happier, but it can increase your focus, concentration, confidence, and energy. With better focus and concentration, the time you spend practicing English will show more results, you’ll remember more, and your listening comprehension will improve (just think how hard it can be to focus on something you don’t understand 100%). Less anxiety and stress means you will become a more confident communicator, and feel more comfortable making mistakes. As a result, you’ll learn much faster. 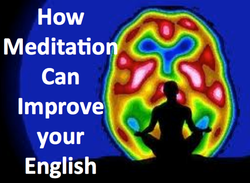 Check out the article now for more information how meditation can improve your English and your life. So that’s it for now, if you read an internalize the messages in these articles, it will have a huge impact on your English and your life. We recommend that you bookmark this page so that you remember to come back to it. We’ll be adding new articles to this page when they get published. So remember, language learner goes much deeper than the surface of grammar and vocabulary. By learning to change the way you think, by learning how to create new habits, you can become successful beyond your wildest dreams. Then check out our free, 3 part mini course on Simple Fluency Secrets They Don’t Teach In School. great nd nicely to learn.